Text Field is known for its WYSIWYG editor allowing you to edit and format your text easily using its formatting toolbars. You can also use it to add images, links, tables, lists and etc. 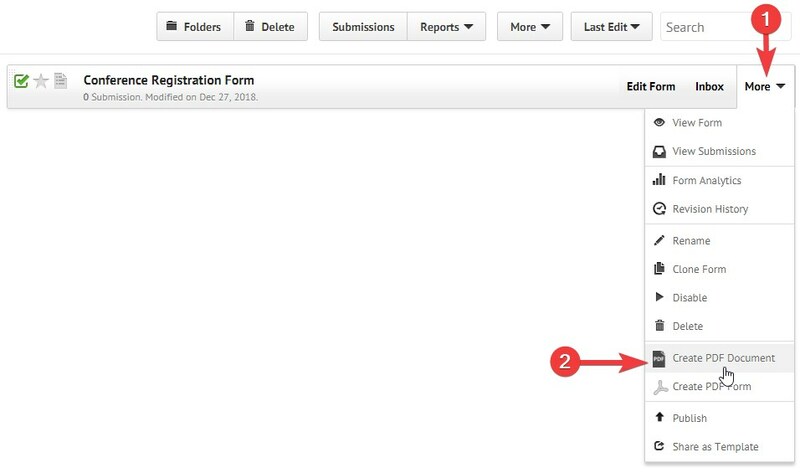 With JotForm's Text Field in the PDF Editor, there's a special toolbar called Form Fields where you can find all the fields from your form and easily add them anywhere in your context. The field variables will be automatically replaced with the actual field value once you preview or download your PDF Document. 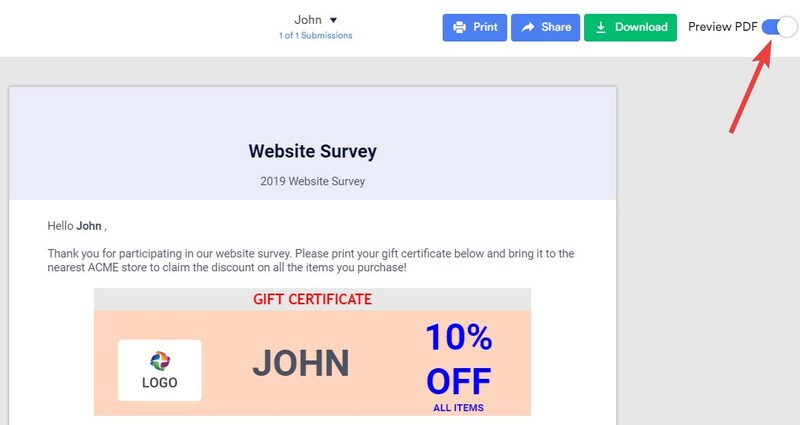 This allows you to freely customize the appearance of whatever you're working on the Text Editor, either you're populating field values on a plain table, essay, narrative text, invoice, invitation, quiz result or a certificate. 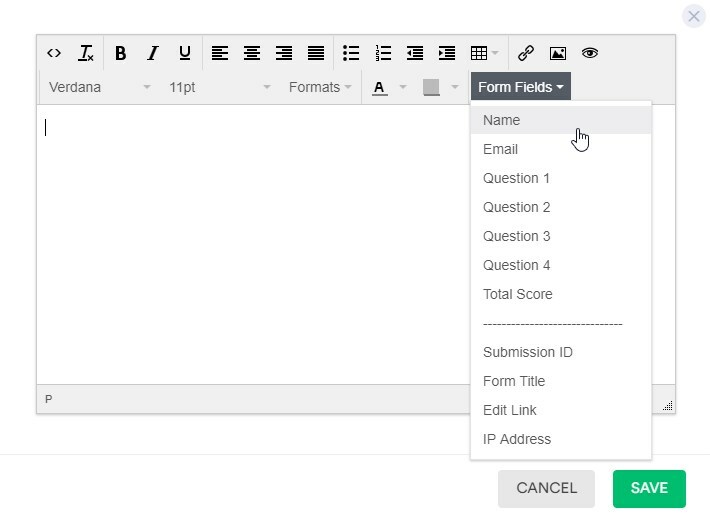 Here's a quick preview of the Text Field showing all the fields from a form. 2. In the PDF Editor, add the Text field in your PDF Document from the Elements panel then double click it to open the Text Editor. 3. Start writing your paragraphs and format it. You can add tables, images and etc. Now to add form fields, click the Form Fields toolbar then select the fields you want to add from the drop down list. 4. 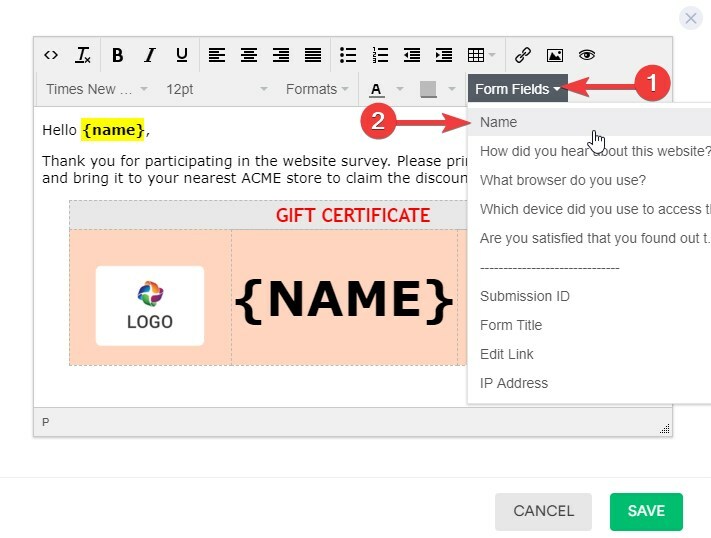 Once you're done adding the form fields, click the SAVE button to save the changes. 5. Finally, preview your PDF to get a final look of your PDF Document with the populated field values in the Text field and that's it! You can print, download or share your PDF Document online! If you have questions or suggestions, feel free to leave a comment below or contact us in our support forum.